HARTING connects E-Mobility and the use of renewable energy. By using renewable energy, E-Mobility delivers maximum potential in saving CO2 and fine dust emissions. Reliability is the number one requirement for the production, distribution and use of energy. HARTING provides robust, reliable and user friendly solutions for the entire Well to Wheel supply chain. From our triad of Installation Technology, Device Connectivity and Smart Network Infrastructure, HARTING provides suitable products for power, signal and data transmission. Our industrial connectors, Ethernet switches and charging plugs and sockets are numerously deployed in applications of energy production, in distribution networks and the charging interface for electric vehicles. 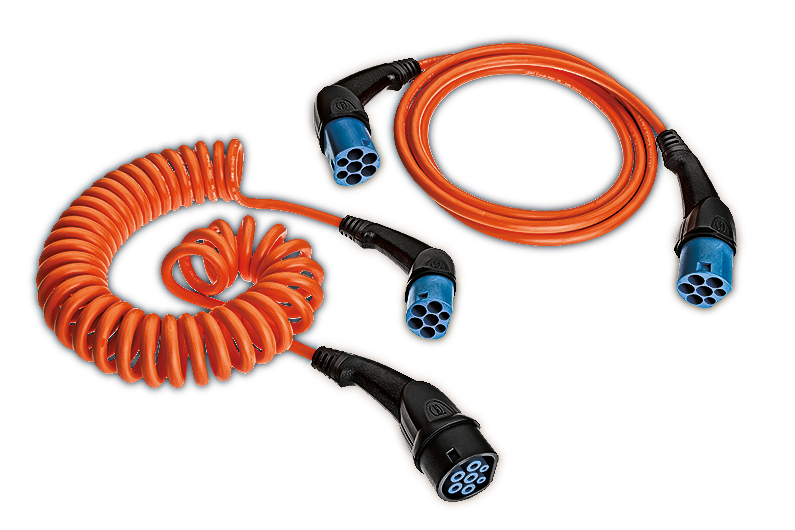 HARTING supplies suitable charging cables and charging plugs for E-Mobility. The following fold-out menu will tell you more about these HARTING products. HARTING charging cables are available as suitable version for all AC charging interfaces (AC, alternating current). Thus HARTING cables match the three globally standardized connection system versions. Furthermore special models have been designed for use in so called in-cable charging devices (IC-CPD*) as interchangeable cord sets. 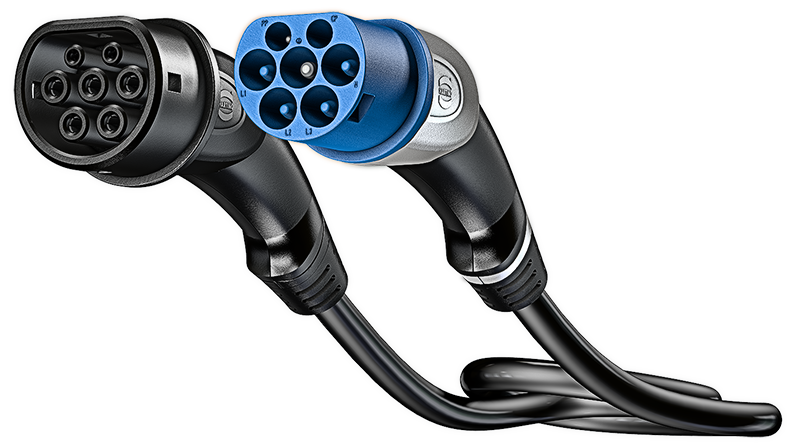 HARTING AC Charging Plugs (AC, alternating current) are available in three different, globally standardized versions. Special models have been designed for use in so-called in-cable charging devices (IC-CPD*) for interchangeable cord sets. HARTING special connection point plugs have been designed for use on in-cable charging devices in accordance with ISO/IEC 62752. Mode 2 charging devices (IC-CPD*) can consequently be equipped with interchangeable cord sets for global sales. Download our flyer here and read more about why HARTING is your partner for E-Mobility.